Almost 10 years after MINI E laid the foundations for production-standard battery electric vehicles within the BMW Group, MINI is now offering a window on the future of urban electric mobility. With a focus on driving excitement and inspiring design, it moves the brand’s urban tradition into the electric age and in doing so spices up the conventional notion of electric mobility. 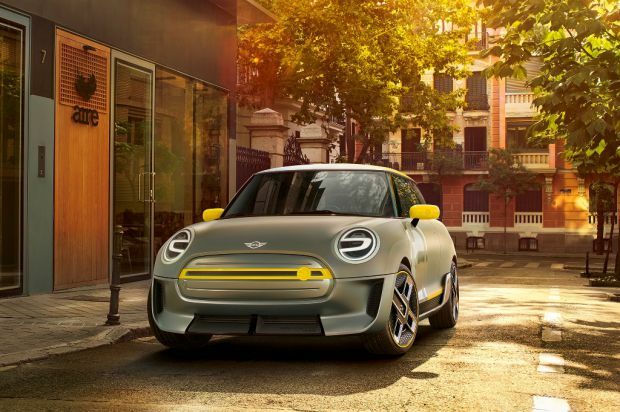 A production version of the MINI ELECTRIC CONCEPT will be unveiled in 2019. The MINI ELECTRIC CONCEPT will debut at IAA Cars 2017 in Frankfurt, and be on public display from Saturday 16th September. This debut follows the launch of the brand’s first ever electrified production model, the MINI Countryman Plug-in Hybrid earlier in 2017. “The systematic electrification of the brand and product portfolio is a mainstay of the BMW Group’s NUMBER ONE > NEXT strategy. The MINI ELECTRIC CONCEPT offers a thrilling preview of the all-electric production vehicle. MINI and electrification make a perfect match,” remarked Harald Krüger, Chairman of the Board of Management of BMW AG. An innovative, zero-emissions solution to the current challenges facing personal mobility, the MINI ELECTRIC CONCEPT combines a drive system that is always quick off the mark with a precision-tuned suspension. The drivetrain and performance characteristics offer an enthralling drive on both city streets and country roads that is typical of the MINI product range. “With its characteristic go-kart feel and powerful electric motor, the MINI ELECTRIC CONCEPT is great fun to drive while also being completely suitable for everyday use – and producing zero emissions to boot. That’s how we at MINI envisage electric mobility in tomorrow’s world,” said Peter Schwarzenbauer, Member of the Board of Management of BMW AG, responsible for MINI, Rolls-Royce and BMW Motorrad.